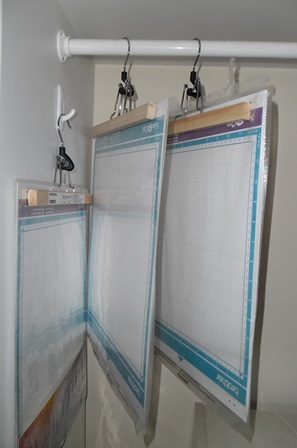 I came up with a great way to store my Scan’N’Cut mats so they remain flat. Hang them using felt lined trouser hangers. I found these at IKEA. The felt protects the mats so they aren’t damaged. 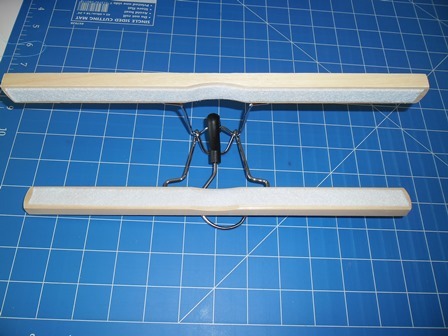 These hangers work in a clamp fashion to hold the mats into place. The hanger easily allows you to store them in cupboard or on a hook. Omg what a great idea. I have just bought a scan and cut and was thinking where can I store these mats so they don’t get damaged. Thank you so much for a really good solution. Tracey your welcome 🙂 Hanging them flat like this takes up little space and keeps them nice and flat. Unfortunately I don’t own my machine anymore after decluttering last year and giving it away but I had the mats hanging the entire time like this and they were perfect.